Blueberry Picking Season Has Arrived! Blueberries are one of the easiest fruits to pick and store, as well as one of the healthiest and we are in the middle of a great blueberry crop this year at Parlee Farms! We first started planting blueberry bushes in 1991. 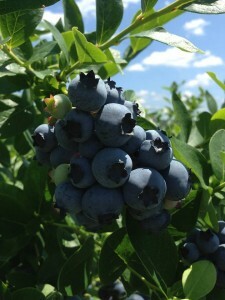 Due to the large demand for fresh blueberry picking in the area, plantings have continually been added. The most recent planting was in 2008 and it takes 7-10 years for a blueberry bush to reach full maturity. We currently have 10 varieties of high bush blueberries covering ten acres ripening over the course of the season. Blueberries rank number one in antioxidant activity as compared with 40 other fruits and vegetables. One cup of fresh blueberries has about 85 calories. Blueberries have their greatest flavor when they are left on the bush for 7-10 days after turning blue. When ripe, the blueberries will easily come off the bush. Blueberries have a long shelf life – almost two weeks for dry, refrigerated blueberries and should not be washed until they are ready to be used. One quart of fresh blueberries weighs about 1-1/12 lbs. and will yield five servings. To make the most of your blueberry picking trip, we recommend picking only the fully ripe berries that are round, blue, and not cracked in any way. The blueberries that are the darkest in color are often the sweetest. Avoid berries that are not fully blue in color because they aren’t yet ripe and will not be sweet. A blueberry that is ready to be picked will easily roll off of the stem. 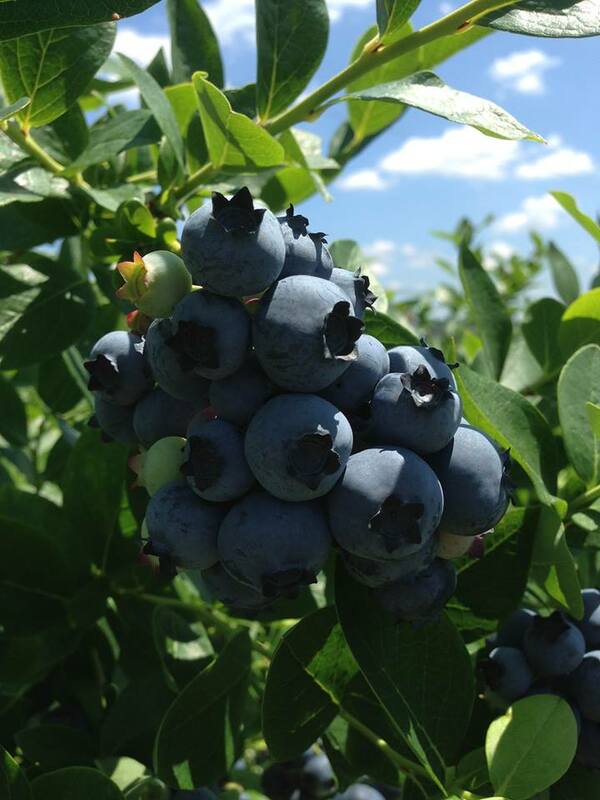 If you are planning a trip to visit us to go blueberry picking, be sure to check Today’s Farm News or our Facebook page before heading out. In order to let the blueberries ripen, there will be times when blueberry picking isn’t available. And with the warm summer we have been having, we expect blueberry season to last only until mid-August as the berries are ripening very quickly. We look forward to seeing you at the farm!